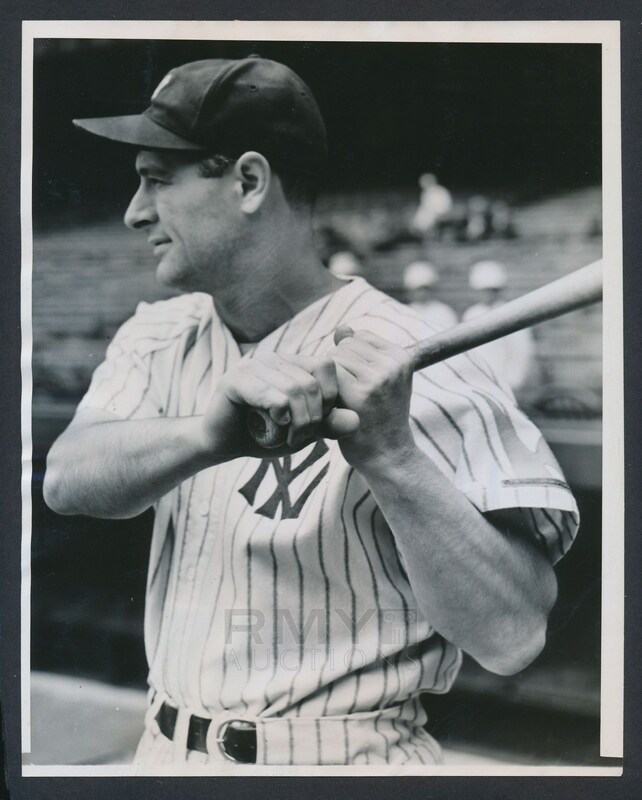 1938 Statuesque batting photograph of the Iron Horse, Lou Gehrig, who was nearing his 2000th consecutive game and showing off the batting form that made him the best player in the game! 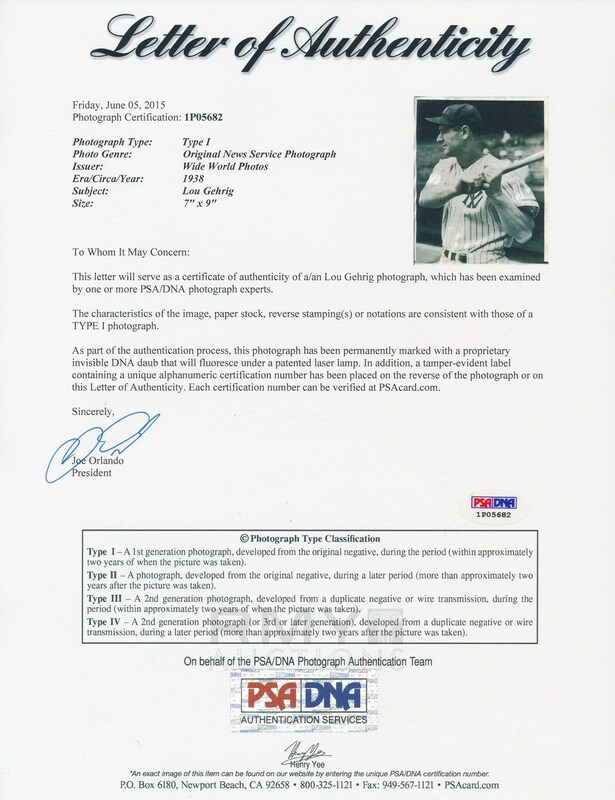 It had to look like Gehrig would play forever, but in reality he would be forced to retire less than a year later after being diagnosed with ALS. 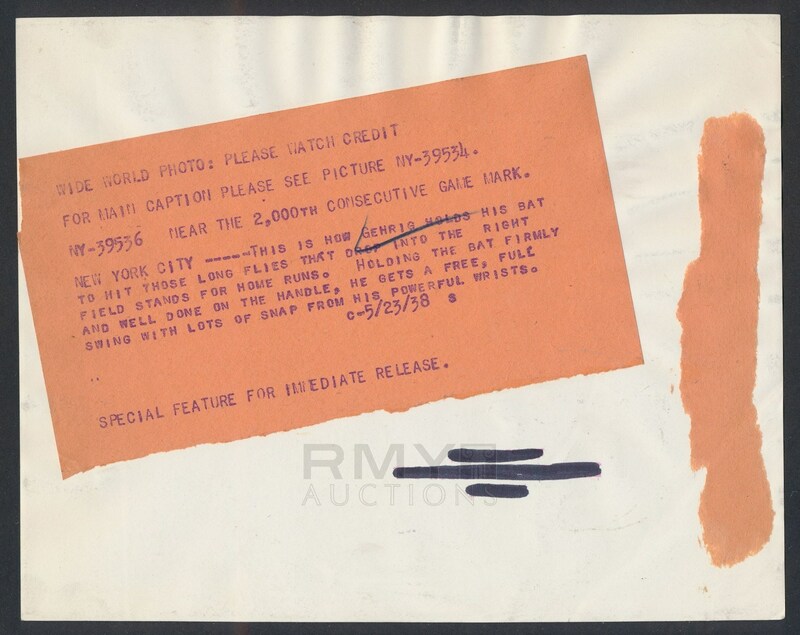 One of his better images we have offered, this was issued by Wide World Photos and has a nice caption on the back, the photo is in great shape overall and it comes pre-certified by both RMY Auctions and also from PSA as a Type 1 as well.